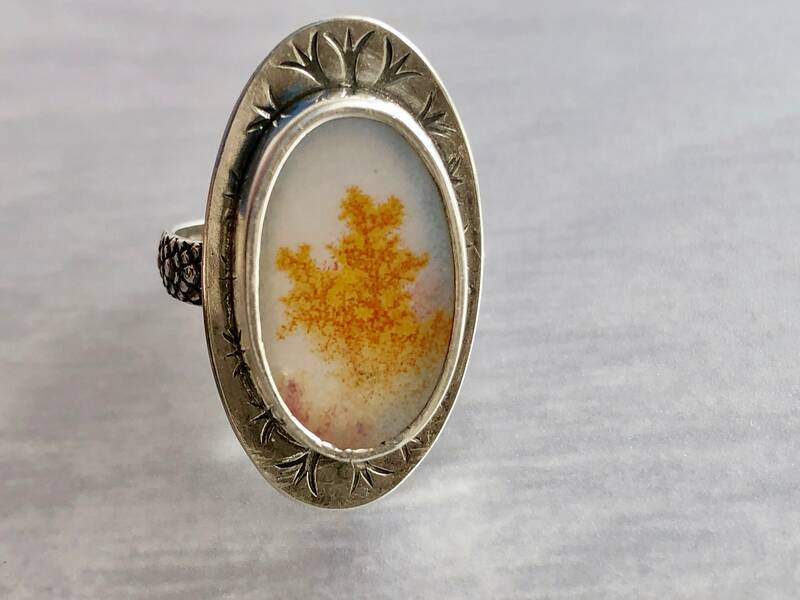 A rare collector’s stone, this scenic dendritic agate shows a golden tree with exquisite fine branching. 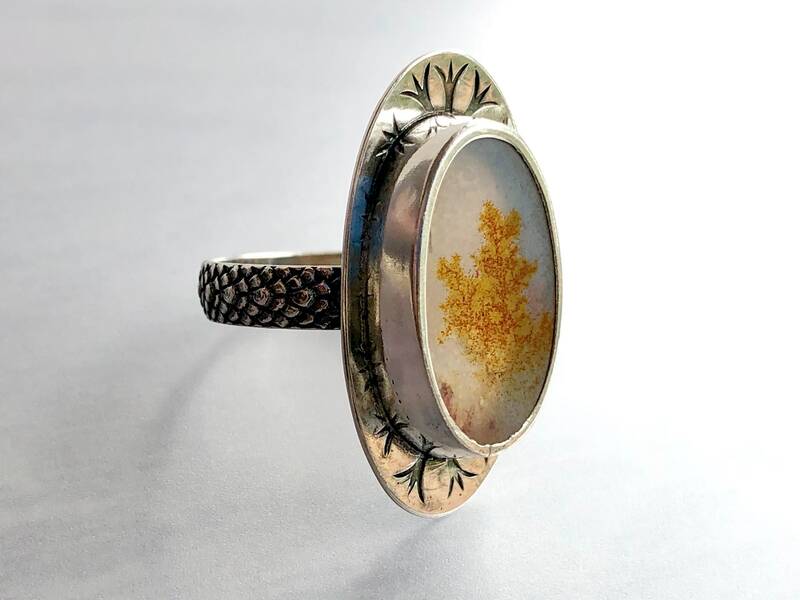 The oval frame has been stamped with a branching motif and the band has a scaled pattern like the texture of cedar needles. 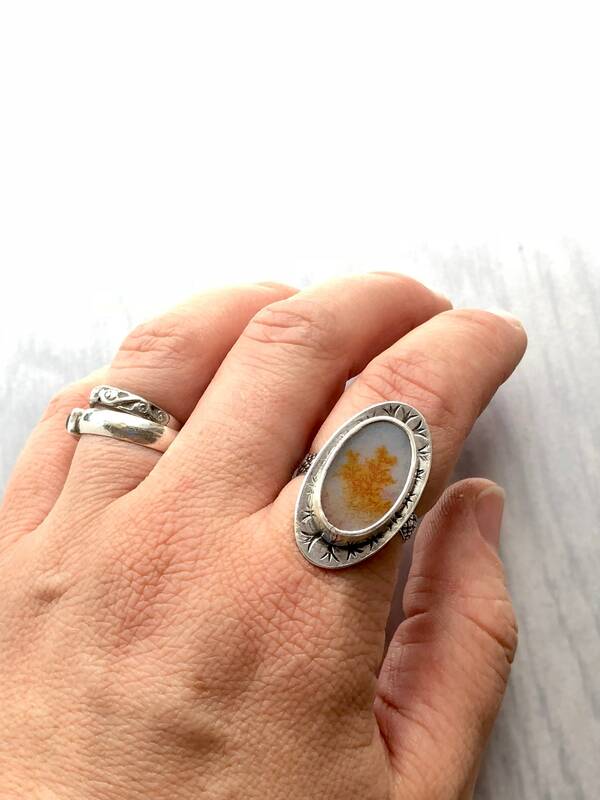 The back of the ring has a window to allow light to pass through and bring out the pattern. 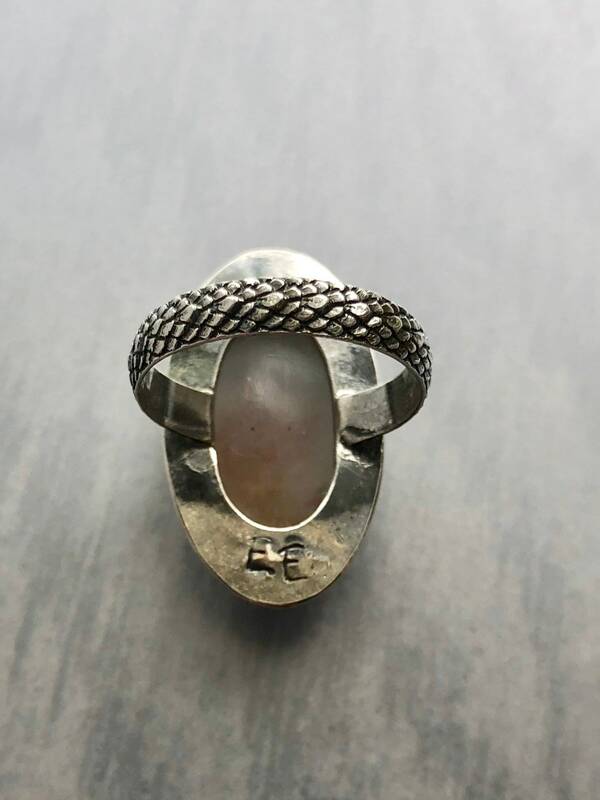 • This ring is a size 8. 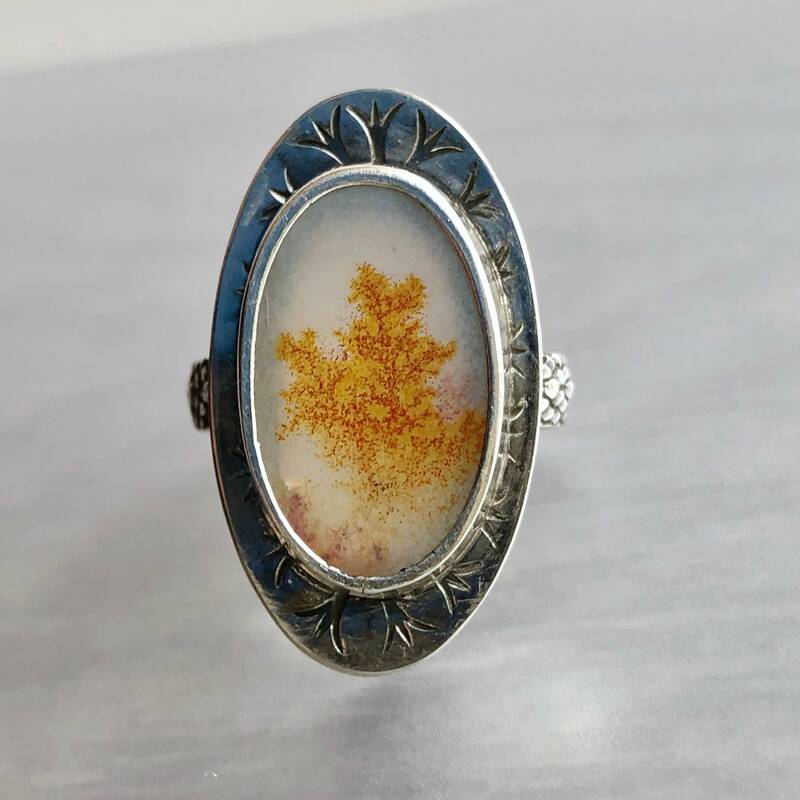 • The natural dendritic agate is 21mm x 13mm.